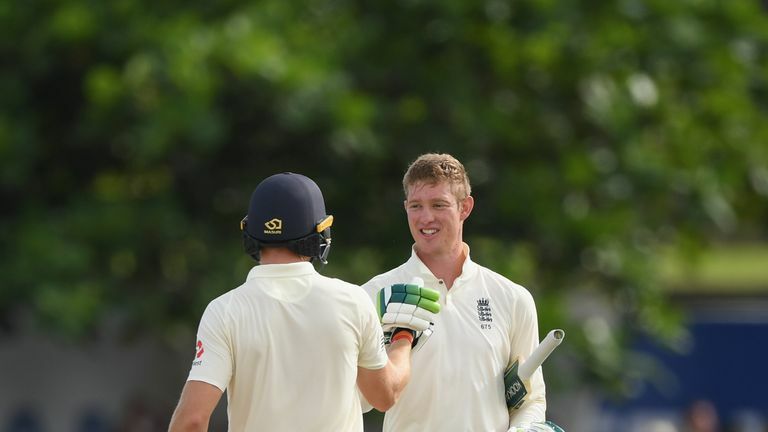 Keaton Jennings' career-best 146 not out helped England set Sri Lanka 462 to win the first Test after a dominant day three in Galle, writes David Ruse. Jennings' resilience and Ben Stokes' brutal sixes impressed but Sri Lanka's Dilruwan Perera and Kaushal Silva produced a moment of individual brilliance apiece. With Stokes firmly into his stride and looking to advance his own and England's cause smartly, the spinner produced a crackerjack delivery that pitched outside leg and dislodged the off bail. Stokes' face told the story - suggesting he wouldn't have kept that out in a month of Thursdays - and England's three spinners will surely have sat up and taken note too. Silva, meanwhile, produced a breath-taking catch at silly point to remove Jos Buttler - diving to his right to grasp an unlikely one-handed grab. 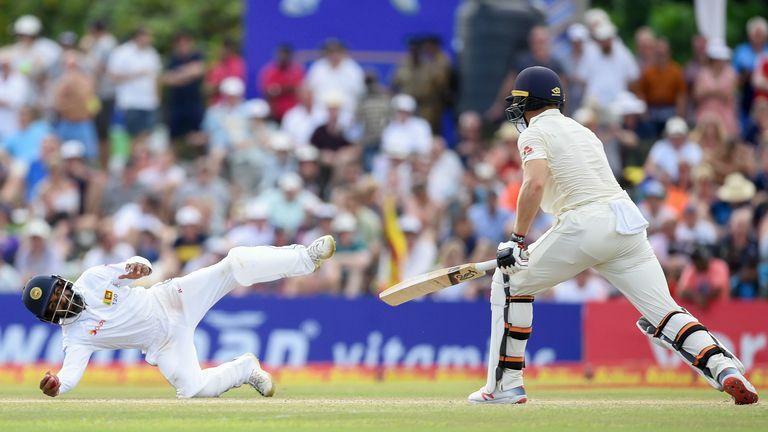 Watch how England's Jos Buttler fell to this stunning grab from Sri Lanka's Kaushal Silva at silly point on day three of the first Test. Moeen Ali is in possession at first-drop - but England's problem position remains a puzzle after the all-rounder's less-than-distinguished Test with the bat. With England in the driving seat, Ali had the chance of redemption after his first-innings golden duck but could only cloth an attempted lofted drive to mid-on as he looked to go over the top early in his innings. It was the execution of the shot rather than the shot itself that was poor, but this awfully tame dismissal means England remain in top-three limbo for the long-term after Joe Denly failed to take his opportunity in the trial matches. On the plus side, Ali's inclusion at three has helped the selectors balance the side and given Adil Rashid the chance to play - and Ali will back himself to put the record straight in the remainder of the series. MIKE ATHERTON: "I don't think batting Moeen Ali at three is a solution for England. To give credit to the selectors they are trying to fit a lot of people into the team and a lot of those players would ideally be in a position from five to eight. "I see Moeen Ali's best position as somewhere in that bracket. But somebody has got to bat three; I think Joe Root should bat at three here in Asia, but he doesn't want to so you have to move on from that." DAVID LLOYD: "It has been a terrific day, a fabulous day for Keaton Jennings. I liked the tempo of England's innings as well, particularly just after lunch. It was a tricky period, with lots of maidens; Ben Stokes and Jennings were together and set a platform, then suddenly they broke free. Stokes hit two sixes and then the innings progressed from there." KEATON JENNINGS: "I suppose all you can do is try and score runs when you get the opportunity. At the end of the day, the summer was tough and performances weren't up to scratch, I'm happy to admit that. Hopefully now I can keep putting in performances that put us into match-winning positions." England declare on 322/6 (93 ovs) lead by 461 runs. Watch day four of the first Test between Sri Lanka and England, in Galle, live on Sky Sports Cricket (channel 404) from 4.15am on Friday.